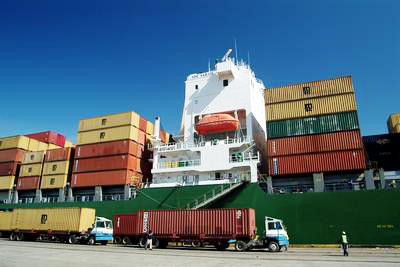 The total volume of cargo transportation via Georgia’s Batumi port to Azerbaijan amounted to 85,738 tons in January-March 2019, Batumi Sea Port Ltd. told Azvision.az. "Of this volume, 62,691 tons accounted for raw sugar. Moreover, 12,836 tons of palm oil, 6,603 tons of soya and 3,608 tons of corn oil were transported via Batumi port to Azerbaijan in January-March 2019," added the source. The total volume of cargo transportation from Azerbaijan via Georgia’s Batumi port stood at 26,119 tons as of 2018. As much as 22,126 tons of the abovementioned figure accounted for industrial oil, while 3,993 tons fall on bentonite transportation from the country. Of this volume, 183,315 tons accounted for raw sugar. Moreover, 53,850 tons of palm oil, 62,887 tons of soya, 20,512 tons of rails, 12,809 tons of corn oil, 3,322 tons of laminate and 8 tons of tanks were transported from Batumi port to Azerbaijan in 2018.